DigitalOcean calls its virtual private servers Droplets; each Droplet that you spin up is a new VPS for your personal use. Now steps for setting your first Droplet. 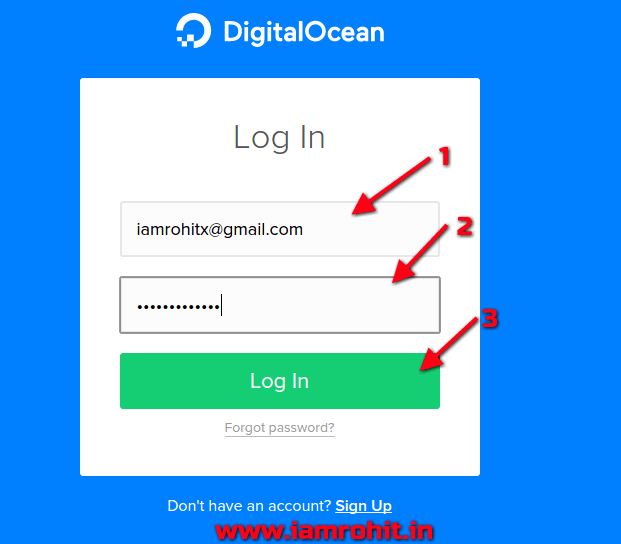 Step.1- To create your first Droplet go to the DigitalOcean Control Panel and log in with your email and password. 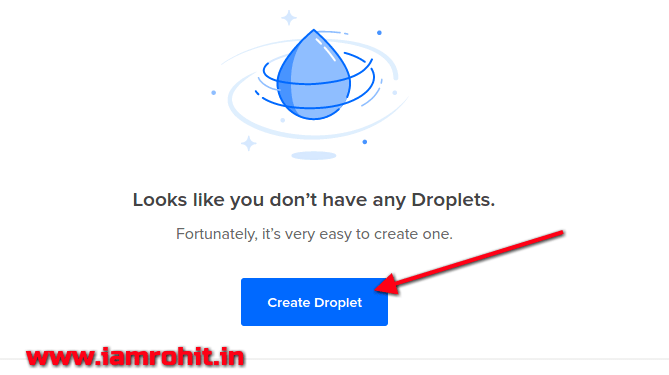 Step.3- Select Droplet Image, You can create your Droplet image from 4 possible categories and also can install predefined application with Droplet Just click on One-click App, and select desired application. In my case i am going to select LAMP as my one click app to install with my droplet. 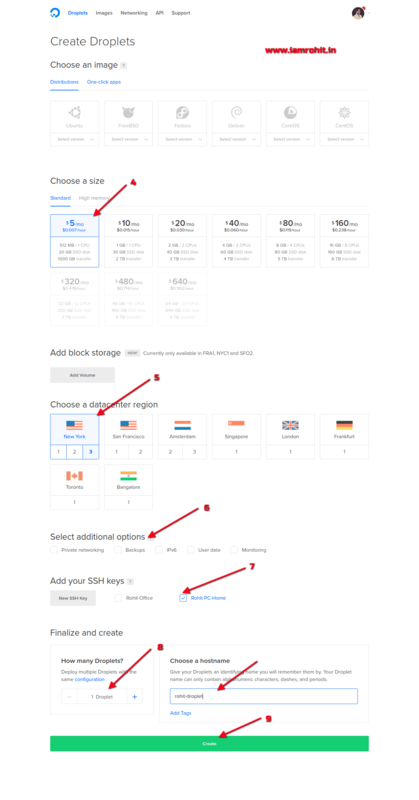 Step.4- Select Your Droplet’s Size, Depending on your needs and budget, you can select the Droplet option that works best for you. You also get $10 per new signup,There is a wide spectrum for prices, power, and storage capacity. The smallest and least expensive option starts at 512MB of RAM with 1 CPU and 20GB of SSD storage. Step.5- Select Your Droplet Region, You may choose the most effective region for your Droplet location. Although equally powerful, the best region to choose is the one nearest to you and your customers or other possible users. Selecting a more distant server location may increase your server latency without serving any practical purpose. Step.6- You may choose optional Additional Options like Private Networking, Backups, IPv6, User Data. Step.7- Add SSH key on your droplet to gain access full control on your server. You you already added SSH key and select SSH keys you would like to add to your new Droplet. Step.8- Select the Number and Names of the Droplets to Create. Next, you can choose the number and names of the Droplets you wish to create. Depending on the number of Droplets currently in your account, you can create up to five Droplets that will use the configuration that you have selected. By default, a single Droplet is set to be created. You can adjust the number of Droplets to create be clicking the plus or minus buttons. Step.9- Create Your Droplet, Once you have selected all of your preferred options, click on “Create”. See below image..
Step.10- Now copy your droplet ip and access from browser and you’ll able to see apache server home page. 2. Type “yes” if the prompt asks if you would like to connect to the host. 3. If you did not use SSH keys, when prompted, type in the root password that was emailed to you and press ENTER. Although the password is entered when you type, it does not show up on the screen for security reasons.